My rebbe, Rav Yitzchok Hutner, zt’l, always quoted to us the immortal words of the Maharal: “devorim gedolim ainam b’mikreh” great things are never coincidental. The controversy over President Trump’s so-called “child-separation policy” has erupted and even involved Am Yisrael just before the advent of the Three Weeks. In an extraordinary carefully worded statement, Agudas Yisrael, which never makes major pronouncements without the guidance of the Moetzes Gedolei Hatorah, joined many other Jewish organizations, such as the Orthodox Union, in condemning the administration’s policy of separating illegal would-be immigrants from their parents. Although the Moetzes and Agudah rarely get involved in issues not directly impacting Klal Yisrael, it seems that the moral and ethical implications here were so egregious and flagrant that they were unavoidable. Although I have no personal knowledge of the Moetzes’ decision-making process on this issue, I imagine they may have felt that it would constitute a chilul Hashem to remain silent. Furthermore, the administration has long made the point that it is not opposed to immigration, rather it takes action against those who break the law. It has made the case that those entering the country illegally were themselves endangering their children and had often sent their children on dangerous journeys, exposing them to hazardous conditions. Although the analogy has been drawn to the Holocaust, it has been pointed out that even in the worst of circumstances, these children have been well fed, given medical attention, and provided with toys and educational materials. And yet, we along with many others felt compelled to distance ourselves from the policy and, to use an ancient Torah term, make a macha’ah, protest verbally against apparent injustice. What happened? Mah nishtanah? 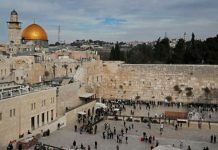 What indeed compelled this almost unprecedented involvement in what seemed to have been a political event not particularly connected to Eretz Yisrael or the Jewish people? Two lines from last week’s New York Times tell the story: “a policy … ripping babies out of their mother’s arms” and “we should never abide treating children like trash, no matter where they come from.” Lines like these, whether justifiable or not, tear at the heartstrings of all decent people and obviously could not have left us callously unresponsive. Regardless of what happens on the American or world stage, for us there is a timely message well worth heeding. Several years ago, Rav Chizkiyahu Yosef Karlinstein related a story from the Zohar (Parashas Ki Teitzei) on the eve of Rosh Hashanah. Rav Elazar, the son of Rav Shimon, author of the Zohar, heard that Rav Yossi of Peki’in had passed away. He asked his colleagues to accompany him to that city to pay last respects to the great Tanna, provide him with tachrichim and bury him properly. We know, and even the rest of the world understands instinctively, that there is nothing like the cries of a child. That is clearly a universal sentiment. However, Rav Karlinstein later related these stories to the Three Weeks as well. He related a story with a young man who had learned in the Yeshiva of Ponovizh but sadly went off the derech, left the yeshiva, and joined the army. One day he received a letter from someone identified on the envelope as Shmuel. He could not recall a close friend named Shmuel but read the entire letter: “To my dear friend: where are you? I miss you and want to see to see you again. Signed, Shmuel Rozovsky.” After receiving such a letter from the rosh yeshiva, the young man soon returned to the yeshiva happily. Rav Karlinstein used the story to answer a famous question. The Gemara (Bava Metzia 85a) tells of the time that Rebbe was walking in the street as a young calf being led to slaughter nuzzled into his clothing for protection. Rebbe whispered into its ear, “Go, because for this you were created.” After this, rebbe was punished with 13 years of terrible suffering. The meforshim ask, “What did rebbe do wrong? He spoke the exact truth.” One answer is that if someone or even something comes to you for protection, you may not turn them away, even if your words and the rejection are correct. When we turn to our Father in heaven asking to be rescued, He must see that we, too, practice such intervention even if there are ample reasons to turn away. Perhaps, at least for us, that is the underlying motivation for our cringing at a policy of separating children from their parents. It does not matter who did this before, nor that the parents are breaking the law. Children are crying and being ripped from their parents. For us, that is not only unacceptable; it goes against our very essence as a people who are rachmanim b’nei rachmanim. At this time of year, we must think of Hashem’s intense pain (Berachos 3a) at the destruction of His home and the exile of His children. We must cry over our loss indeed but even more importantly, over His loss. If we want Him to respond to the cries of His children, He must see that we recognize His profound suffering as well. Perhaps even as we react viscerally to the pain of other people’s children, we must empathize with the parents as well, which leads us to the ultimate parent, the Father of us all Who is in exile with us (Zohar, Acharei Mos). The Chinuch (Parashas Yisro) famously teaches us that from honoring our parents, we learn to honor Hashem as well. 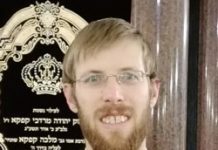 At this time, Hashem may have sent us a new motivation and venue to mourn for the loss of our national home, the Beis HaMikdash, at the same time as we are awakened to the presence of Hashem in our lives in this bitter galus. May we take advantage of this special moment to bring geulos and yeshuos for all of Klal Yisrael.